Lizzy Rose is a based in Margate in Kent. She has the autoimmune condition Crohns disease and intestinal failure. Lizzy was an Associate at Open School East in 2018 and has been part of the Crate programming team since 2016. Previously she was Assistant Curator at LIMBO working with artists Matthew de Pulford and Paul Hazelton. Over the past year she has been exploring how to use her experience of illness to make work. The video work Sick, blue sea, shown in the final show Gut Feelings in December 2018, was the culmination of several ideas Rose explored throughout her year as an Associate at Open School East. The work follows a fictional narrative spoken by a teenage sperm whale blogging about her chronic nausea. The work links several of Rose’s key interests: chronic illness communities online and the culture surrounding them, narrative storytelling, and humour. Rose has experimented with ideas around food and abjection, coming initially from the Strong Currents project, where guests were invited to eat salad fed by Total Parental Nutrition (TPN), prescribed “food” which Rose administers intravenously every day. For the exhibition Gut Feelings, she sourced a whale secretion flavouring called Ambergris to create edible whale intestines. Sick, blue, sea began life during a collaborative residency at LIMBO in July. Rose wanted to explore the idea of nausea, which she experiences because of her autoimmune condition Crohns disease. Rose began researching critical thinking around the politics of the body, the relationship between the body and technology and to what extend the body affects politics around identity. The work follows the fictional voiceover of a young sperm whale as she blogs about feeling sick. The work links several of Rose’s key interests: chronic illness communities online and the culture surrounding them, narrative storytelling, and humour. Outside of OSE, Rose is part the programming team at Crate, where she supported the Crate Curatorial Open, this year awarded to QT collective. Rose was also part of Margate Festival with her solo show Arrangement which examined the culture around flower arranging, nature and knowledge-sharing between cultures. Her installation The meaning of the wild, presented a video filmed in The Ohara School of Ikebana in Japan, in a moss-filled room at Crate. In 2018 Rose has also been part of a group of artists reading theory around illness and disability culminating in a residency at Wysing Arts Centre in October. The group thought about how to make your practice sustainable as a disabled artist, how to make work using your experience of illness and building accessibility into artistic practice. The group hosted the event On Cripping at the ICA where group members read texts relating to their practice. 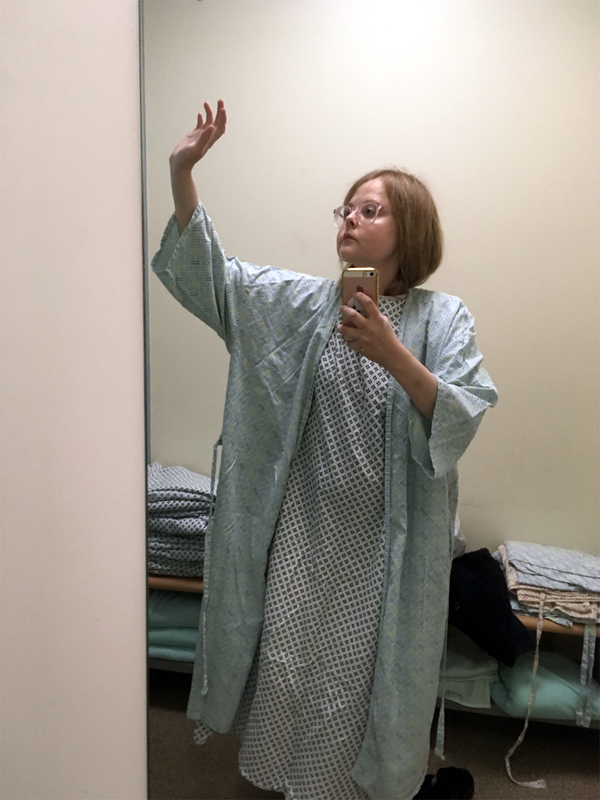 Rose read a short essay from her 2014 zine, chronicillness. In 2019, Rose will spend the majority of the year in hospital but plans to continue working from her hospital bed. This is my current hospital desk/studio set up. Watching fellow associate Mel Wheeler’s work for our @openschooleast event for @whitbien on Friday evening at @thehorsebridge. The theme is Love. I am showing a new video work “My heart will go on”. ??????????? ?